Static cling film for bathroom decoration. 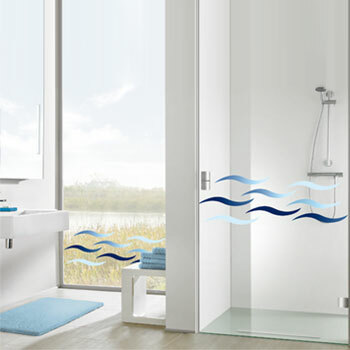 These provide a way to customize glass doors or mirrors within your bathroom. The 5.9x9.25 in (15x23.5cm) and 9.06x13.39 in (23x34cm) sizes feature individually detachable elements. The 9.06x26.77 in (23x68 cm) sizes are a single piece.